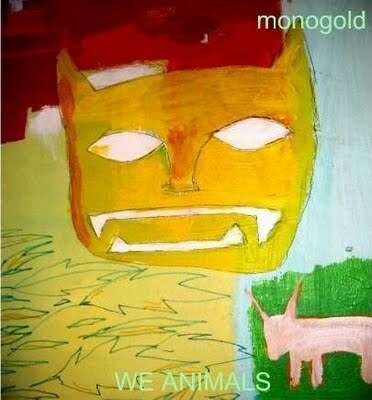 Monogold’s previous EP, Waves, had comparisons to top acts like Arcade Fire and Radiohead, but with We Animals, it’s obvious that this Brooklyn band has begun to carve out and master their own niche. Throughout the album, there’s a sense of majesty in the music’s waxing and waning textures, dreamlike details, falsetto vocals and grand themes. Opener “Traps/Offerings” grabs the listener from the start, and still has a bit of an Arcade Fire inspiration heard in the phrase “You Said Something”, which cleverly interrupts the general sense of calm as if it’s an epiphanic moment of memory that must be shouted from the rafters. Standouts like “Dead Sea Minerals” break from the album’s overall shoegaze/ethereal leanings with an upbeat guitar that rises into Morricone-inspired whistles. “Foxgloves” has frenetic guitar swirls, highlighted with lilting, high vocal harmonies and almost martial percussion, ending with a memorable punch. This disc is one that’s been on repeat listen since it arrived. 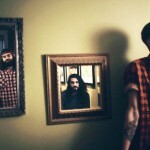 Monogold’s obviously come a long way and has broken into new territory with this comfortingly addictive 7-song album. (self-release)–Selina S.